Mission Services of London | Welcome, Stacey Wilson! 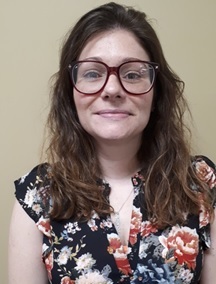 Mission Services of London is pleased to announce the hire of Stacey Wilson as Program Supervisor at Rotholme Women’s & Family Shelter effective Wednesday, March 27th, 2018. Stacey reports to the Director of Shelters, Gord Russell. Stacey earned her diploma in Social Service Worker and Human Services Foundation programs at Fanshawe College. Stacey was the Assistant Manager of the Housing Stability Bank within the Salvation Army Centre of Hope, and is very knowledgeable about shelter programs and services in London. She has also worked as a Housing Stability Bank Worker, Outreach Worker, Women’s and Men’s Hostel Support Worker, and Front Desk Clerk at the Centre of Hope. Stacey also has worked as a Family Support Worker for the Victorian Order of Nurses. Let’s welcome Stacey to Mission Services of London and provide any support or help she may need as she assumes this new role.